I’ve been talking a lot about princesses lately. Mostly because I’m almost finished with my daughter’s princess bedroom transition. Also because we are planning a special surprise weekend in Disneyland for her fourth birthday next month. We have already purchased the new Cinderella Blu-Ray DVD as a gift and I’ve been paying close attention to my daughter’s holiday wishlist. She has been talking about the Mattel Ultimate Dream Castle for a few months. As you can imagine, she was ridiculously excited when I took her to Wal-Mart this week to buy the princess castle as an early birthday present. Before I told her about the Princess Castle surprise, we had some fun on my phone playing with the new Disney Princess Royal Ball Augmented Reality App. It definitely put us in the mood to do some princess shopping! The app is available on Android and Apple devices. It’s extremely easy to download and use. The best part is it’s free. Yes, free! 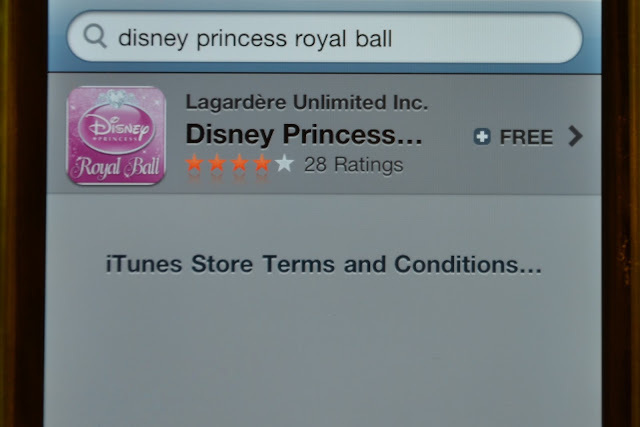 To find the app, just search “Disney Princess Royal Ball”. 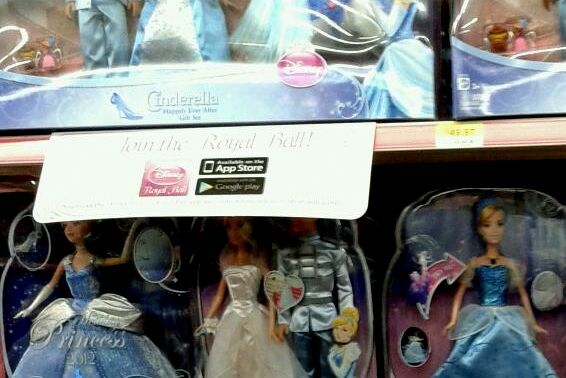 Once you’ve downloaded the app, have some fun dressing princesses, decorating a carriage, and dancing at a royal ball. Trust me, this is just as much fun for the mommies as it is for the kiddos! I loved it! My daughter did too! Do you like the pretty carriage she built? One of my daughter’s favorite features is the ability to take pictures of herself wearing the princess clothes and riding in the carriage she created. There is plenty of fun to be had with the app but it gets better if you bring it with you to Wal-Mart and scan images to unlock features and more interactive games. We were happy when we found the Royal Ball image and unlocked two additional dresses, crowns, and pairs of shoes. My daughter loved seeing herself dressed like Snow White. The best part of my daughter’s morning came when I told her she could pick out something special for her birthday. We found so many great Disney Princess items. It was definitely a tough decision for her. She already has a princess bike at home but she almost had me convinced she needed a bigger and faster one. 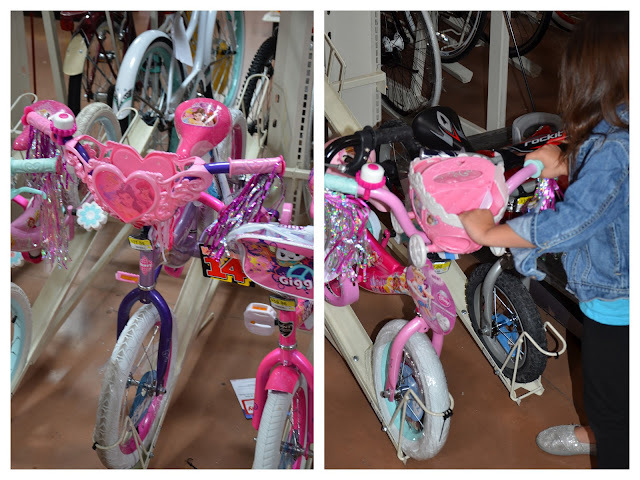 She couldn’t quite decide if she liked the Huffy Disney Princess 12″ Bike or the 16″ Huffy Disney Princess Bike better. She really wanted to bring home a Disney Princess FJ 12V Cruiser. She told me she needed it to get to our neighborhood park. We spotted the Ultimate Dream Castle and were amazed. My daughter was singing and hugging the box! In addition to the castle, we also brought home the Mattel Cinderella Transforming Carriage. My daughter asked if we could put the castle together before her birthday. Absolutely! I knew from the moment I saw it in Wal-Mart that I wasn’t going to be able to wait that long to play with it! Some of my best childhood memories are playing with dolls. Most of my other favorite childhood memories come from family summer vacations to Disneyland. This special gift is letting me combine the two. I am so excited to be able to make great memories with my daughter playing with Disney Princesses in their own special castle. I hope she remembers how much fun we had out shopping for her special birthday gift. I know I will! 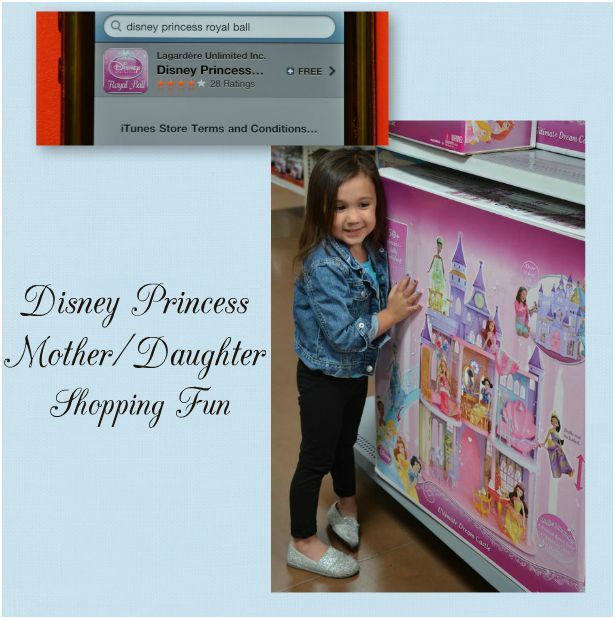 If you’d like to see more photos of my Disney Princess mother/daughter shopping experience, take a look at my Disney Princess Mother/Daughter Shopping Fun #DisneyPrincessWMT #Cbias #SocialFabric Google Plus Album. Have fun connecting with Social Channel, Wal-Mart, and Disney online!